Utilizing a liner shower drain in a shower installation is a great way to not only save time, but allows for greater installation flexibility. This is because a linear drain shower eliminates the need of installing floor tile on a multi-directional plane. Liner shower drains can be installed along shower walls or along the edge of the shower, making them the perfect low profile drain solution. They are also ideal for handicap accessible or no-curb showers. 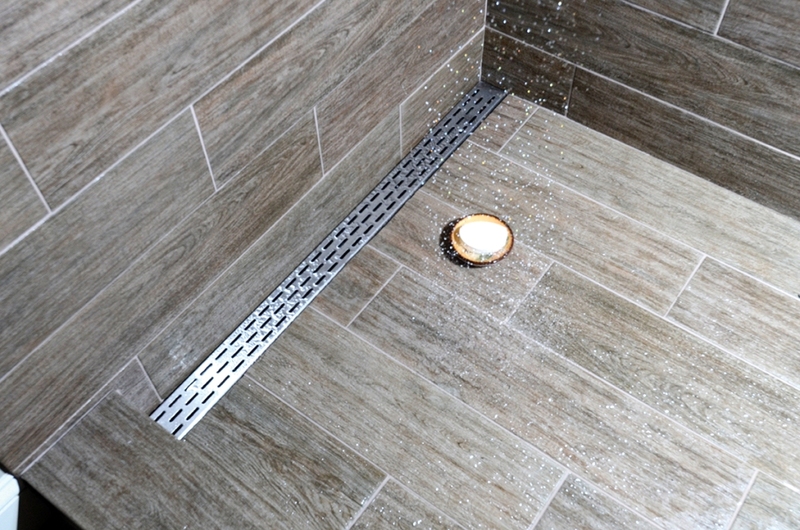 At Tile Pro Depot, we recommend the Laticrete Hydro Ban Linear Drain for single direction sloping shower installations. It allows for a stylish and modern finished design, and doesn’t require cutting tile to slope the shower for a center drain. Because of the ease of installation, you have the flexibility to use large format tile and stone, allowing you to truly cater to your client’s preferences. 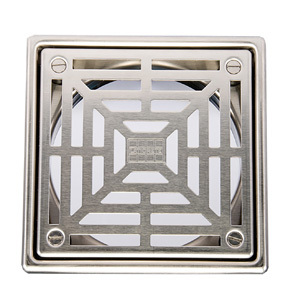 The Laticrete Hydro Ban Linear Drain is American made using 16-gauge stainless steel and is available in a variety of grate options, including brushed, polished, oil rubbed bronze, and stainless steel. 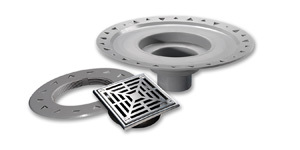 Apart from linear shower drains, Tile Pro Depot also offers flange bonded drain grates and flange bonded drain complete units. These products are excellent accompaniments to the Laticrete pre-sloped shower pans, and are available in a variety of finishes. Even if a linear shower drain isn’t in your customer’s shower vision, these products will ensure a fantastic result. When you’re on the hunt for shower drains and other shower installation products, Tile Pro Depot has everything you need to do the job right. Whether it be linear shower drains, drain grates, pre-sloped shower pans, preformed seats, or waterproofing materials – we’ve got you covered. We aim to be your one stop shop for all things tiling.